Why manage manure? There are several reasons! Manure can affect your operation in good and bad ways, and it can impact other people and creatures. The following is from Tips on Land & Water Management for Small Acreages in Oregon. For more information download the full document. 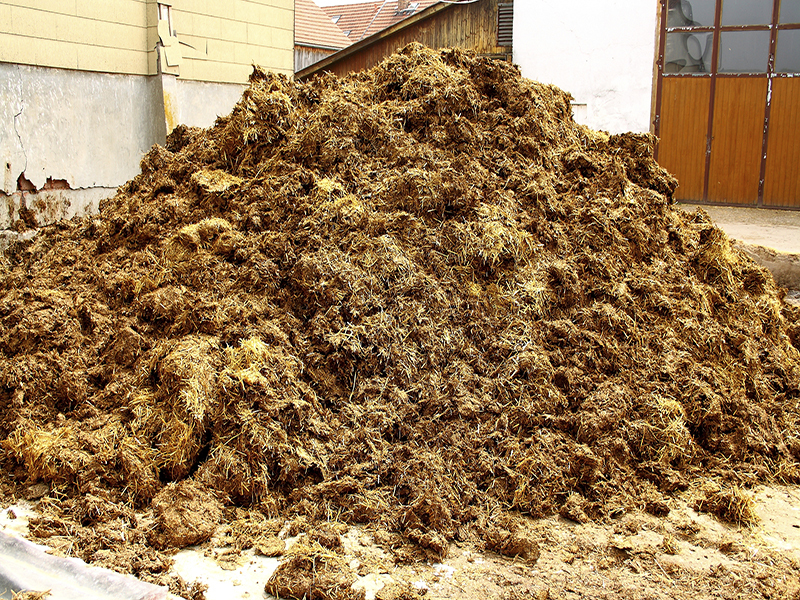 Manure problems create an unhealthy environment for horses and livestock. Poor health may mean more vet bills and increased feed bills for unhealthy animals. Leaving manure on the ground creates more mud. Manure, like mud, creates a breeding ground for insects, especially filth flies. Insects are annoying at best and, at worst, carry disease or can cause serious allergies. Internal parasites hatch from the manure as often as every three days and can reinfest animals as soon as 24 hours after worming. Mud and manure problems are inconvenient for the farm owner, can make chores difficult, and are unpleasant for neighbors. Nutrient runoff from manure has a negative impact on the environment. It contaminates surface water and groundwater, is detrimental to fish and other aquatic wildlife, and fertilizes aquatic weeds. Applying manure back to pastures creates a natural nutrient cycle; one horse’s manure represents approximately $150 in fertilizer value/year. The featured image of the manure pile with a horse in the background is very nice, isn’t it? We think so, too. The source image is available at Wikipedia and was uploaded by Malene Thyssen, http://commons.wikimedia.org/wiki/User:Malene. This booklet will give you lots of information and ideas for a place that you can be proud to own. We're all part of a watershed and our actions can affect others. The things that you and your neighbors do can greatly improve the health and the resources we all appreciate about Oregon. Candy Lane Students to the Rescue! It’s Native Plant Appreciation Week!